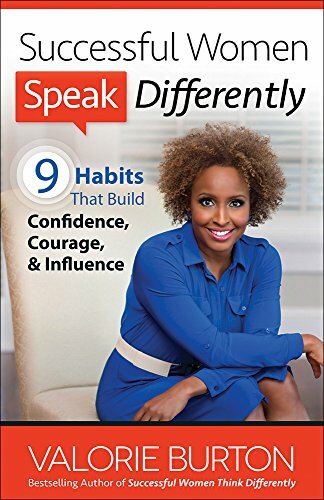 [PDF] Successful Women Speak Differently: 9 Habits That Build Confidence, Courage, and Influence | Free eBooks Download - EBOOKEE! Description: Stop Underestimating Yourself. You are capable of far more than you know. The most successful women are often not the most talented, the most gifted, or even the most experienced. What these women have is a knack for communicating that opens doors and gives them influence. Gleaning from powerful research, bestselling author and life strategist Valorie Burton unearths practical insights you can put to work in your life immediately. Scientific studies are proving what the ancient wisdom of Scripture has shown all along: The power of life and death lies in the very words you speak. Let Valorie teach you how toâ€¦ recognize the nuances in speech that can mean the difference between success and failure increase your influence by changing what you think and say in critical moments speak accurately about yourself so you don't sabotage your most meaningful goals boost your confidence by making simple tweaks to your everyday speech Your words are powerful tools. It's time to use them to build the life you really want. No comments for "[PDF] Successful Women Speak Differently: 9 Habits That Build Confidence, Courage, and Influence".